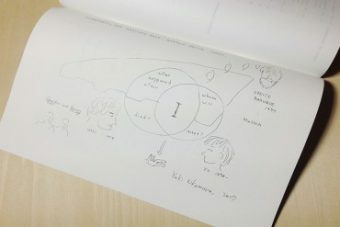 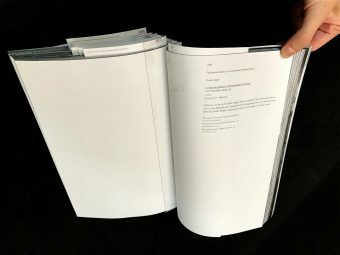 Edition Nord is launching a series of publications called “para/log”, presenting an aspect of an exhibition and/or the attitude of an artist through the form of flexible and conceptual artist’s books, unlike heavy and comprehensive ‘catalogues’. 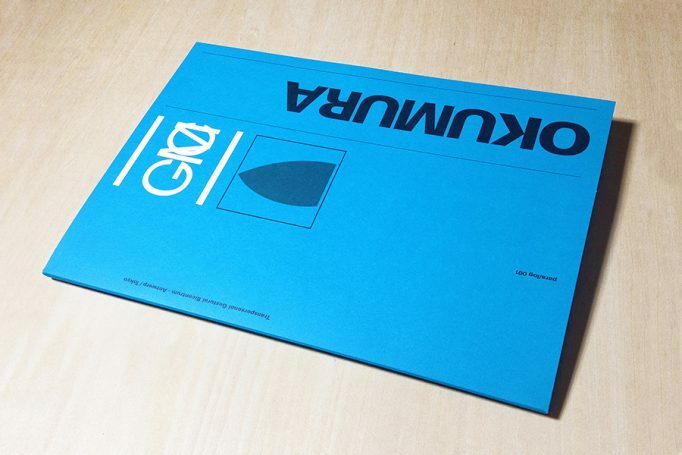 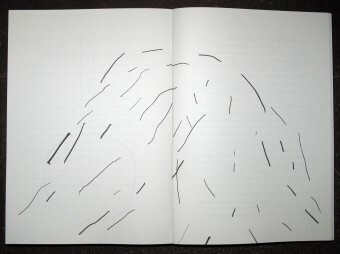 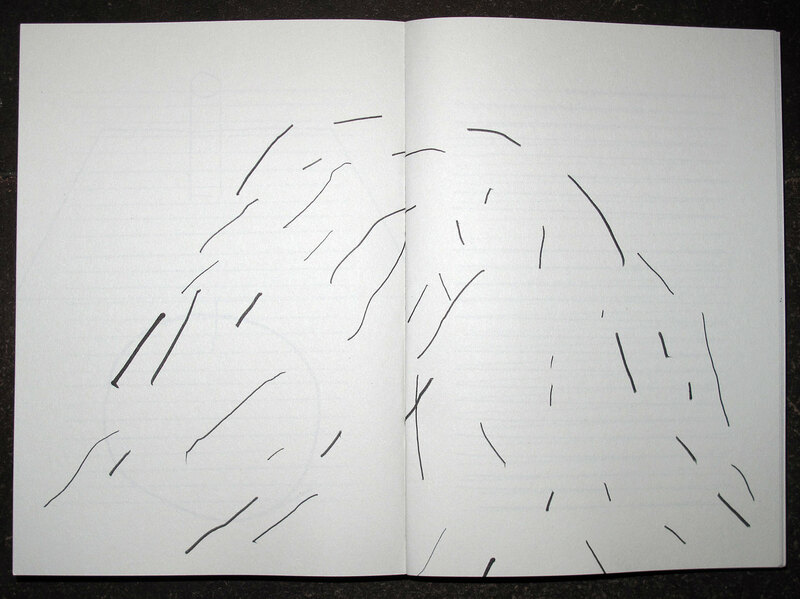 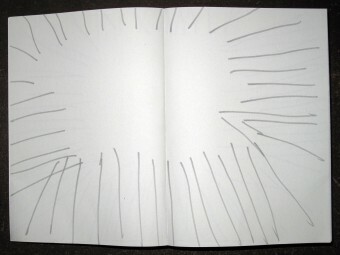 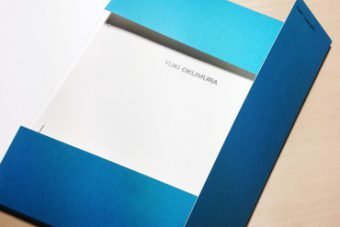 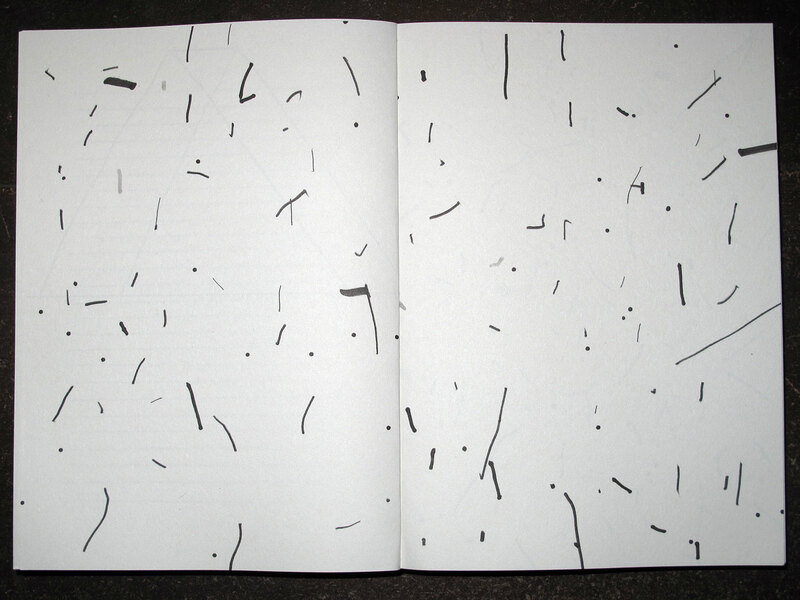 The first publication is Yuki Okumura’s “YUKI OKUMURA”. 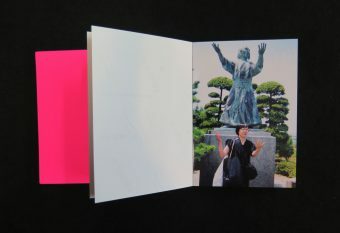 Yuki Okumura is a Japanese artist based in Brussels and Maastricht. 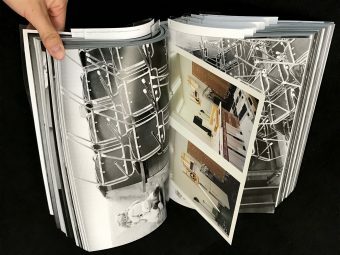 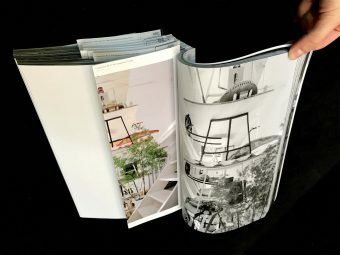 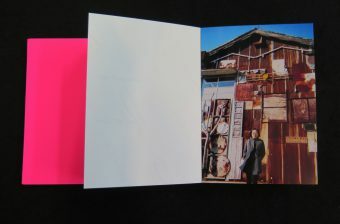 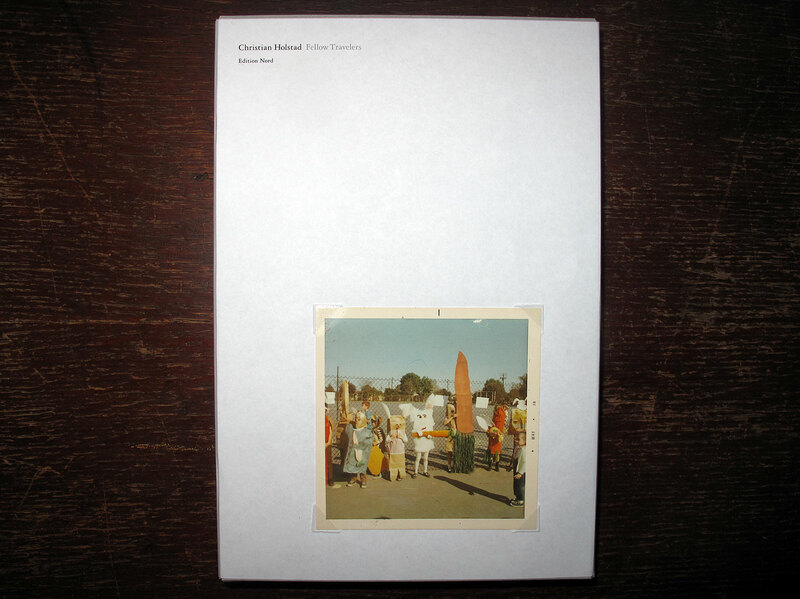 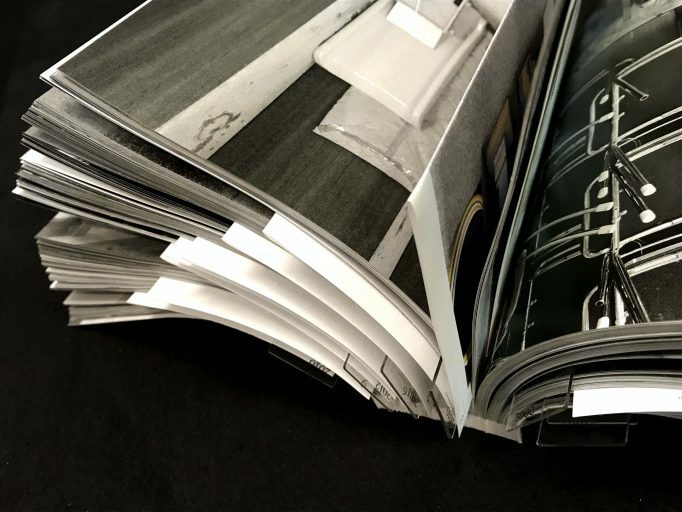 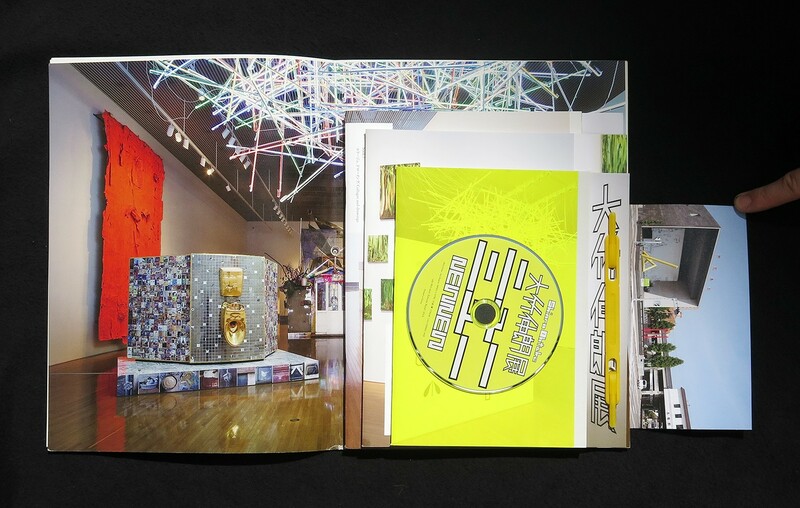 “YUKI OKUMURA” is a concept book for his latest project, in which he mixes Gordon Matta-Clark and himself. 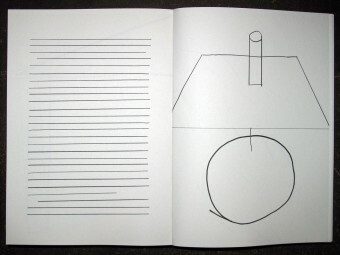 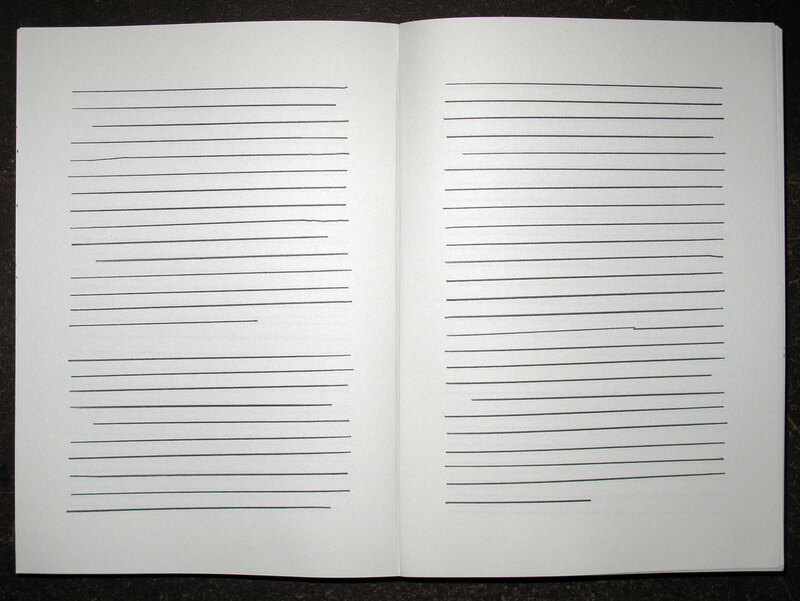 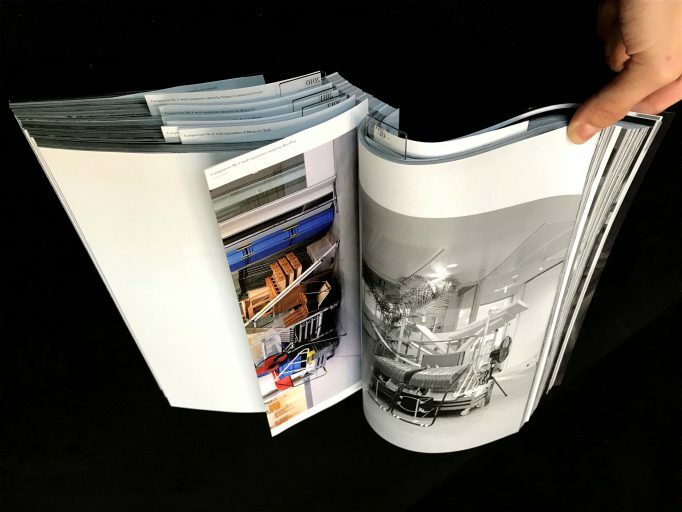 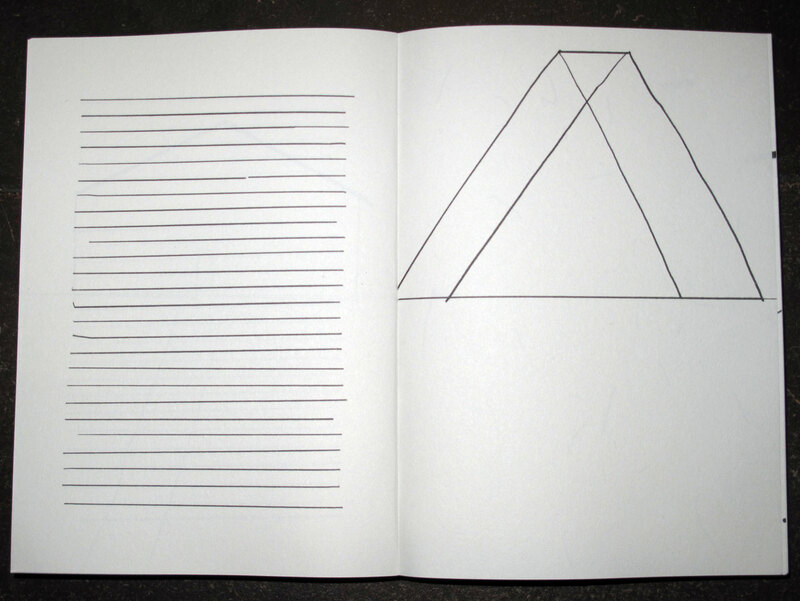 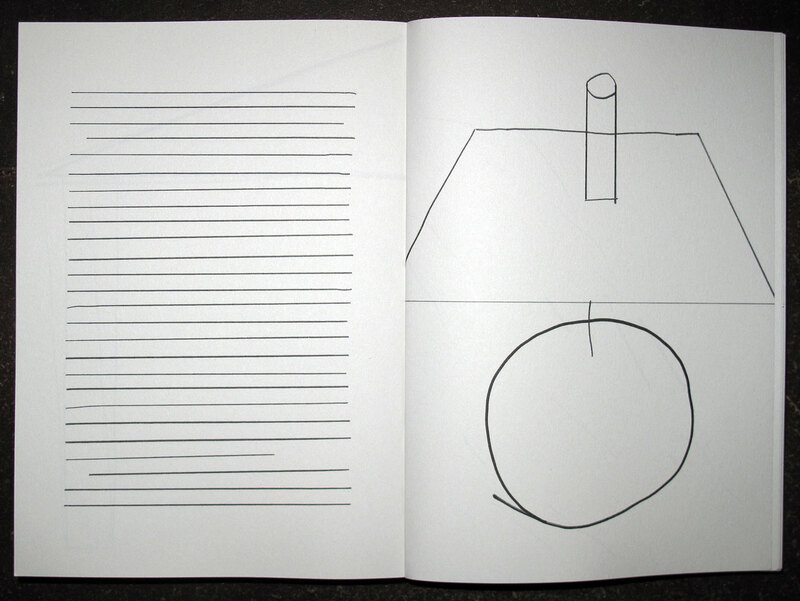 The contents and the design of the book precisely follow a Matta-Clark catalogue published by ICC, Antwerp, 1977. 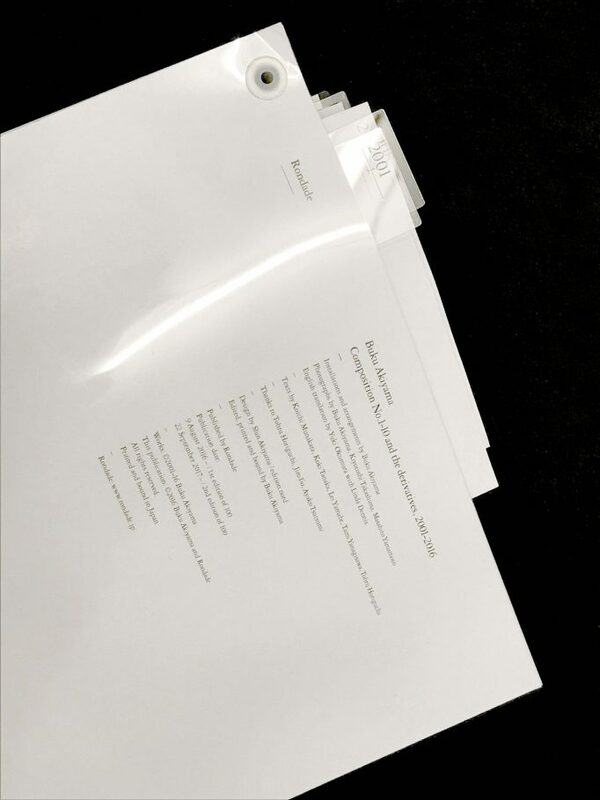 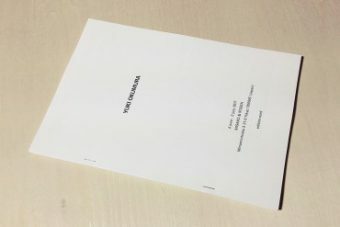 The official catalogue of Shinro Ohtake’s exhibition held at Marugame Genichiro-Inokuma Museum of Contemporary Art, Kagawa, 2013. 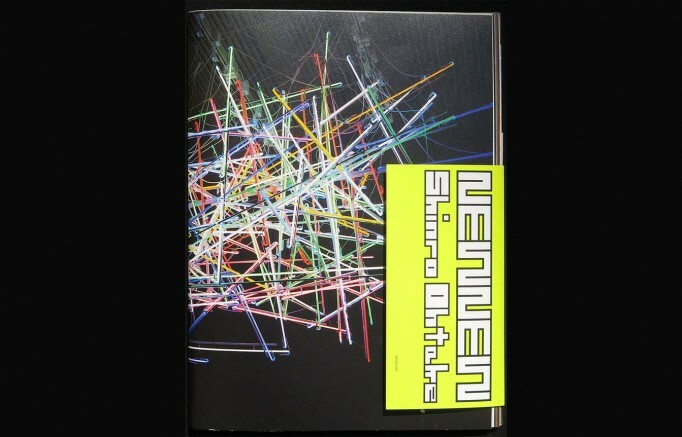 As the title suggests, “NEWNEW” consisted of only new, recent and never-exhibited works by the artist, deliberately placed throughout the museum to make the most of its unique locational environment and architectural structure. 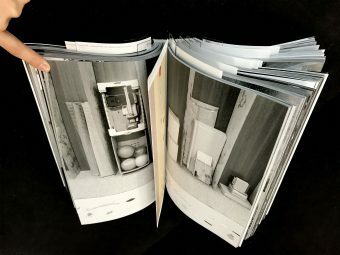 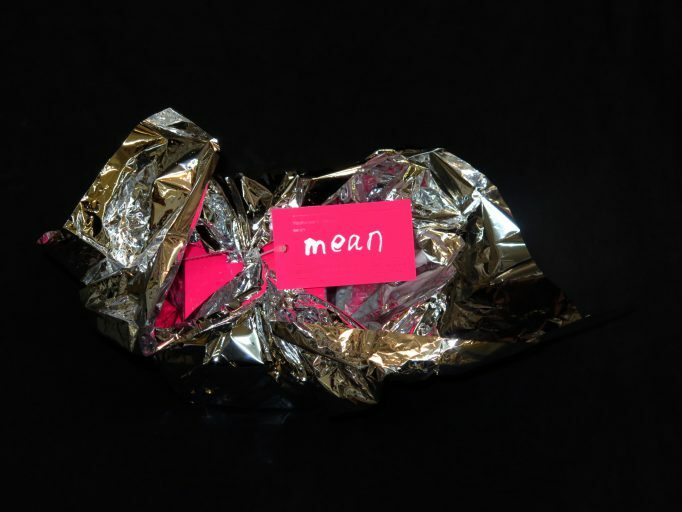 The exhibited works included installations such as “MON CHERI: A Self-Portrait as a Scrapped Shed,” his contribution to Documenta 13, in addition to large-scale sculptures, collages, oil paintings, oversize drawings and small Gouache paintings on paper. 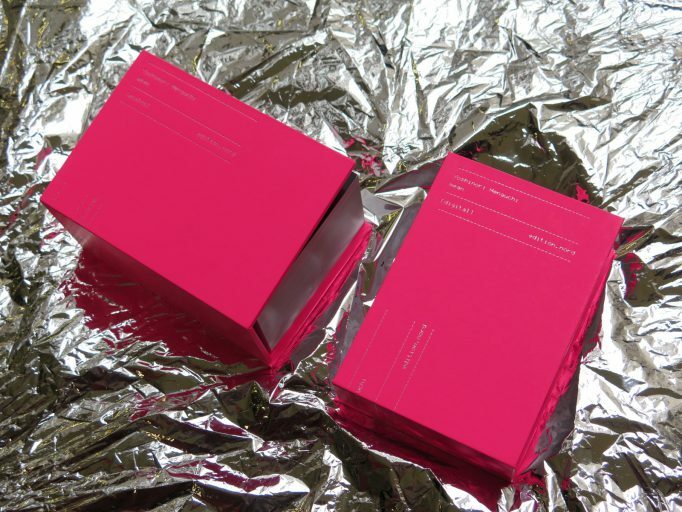 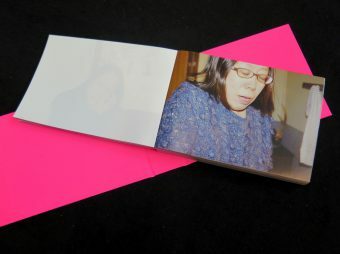 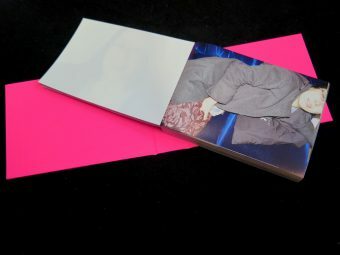 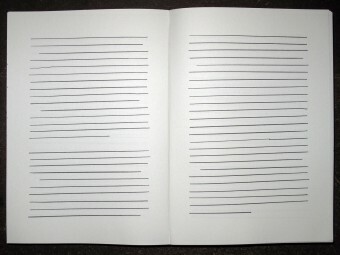 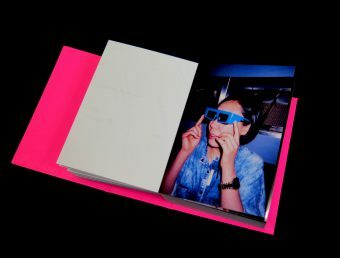 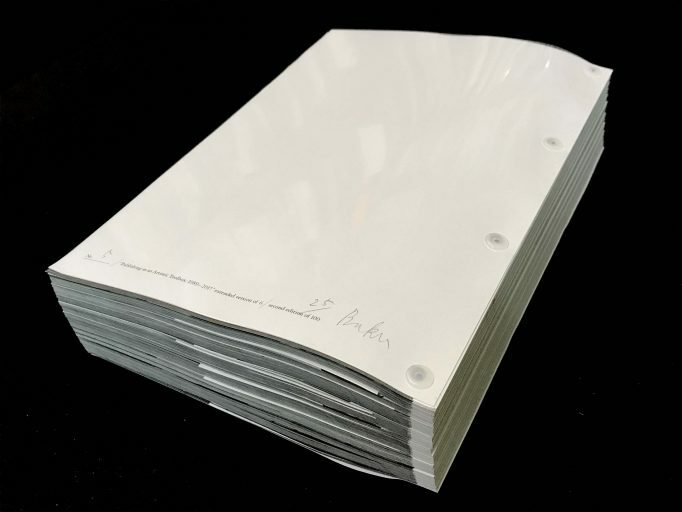 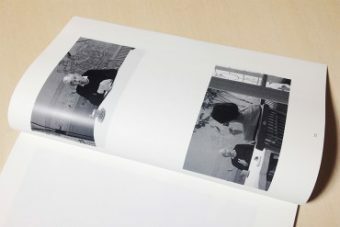 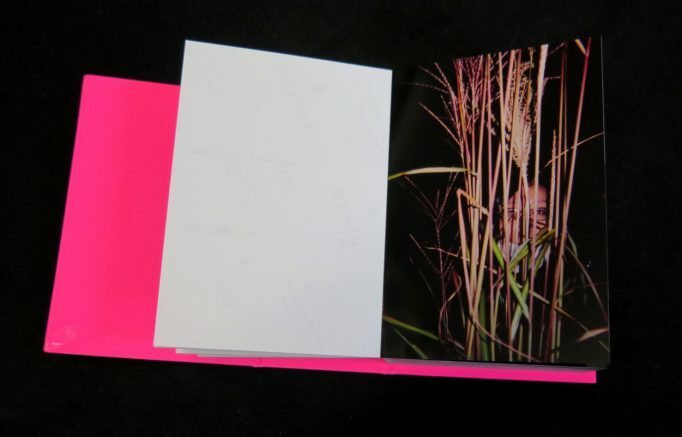 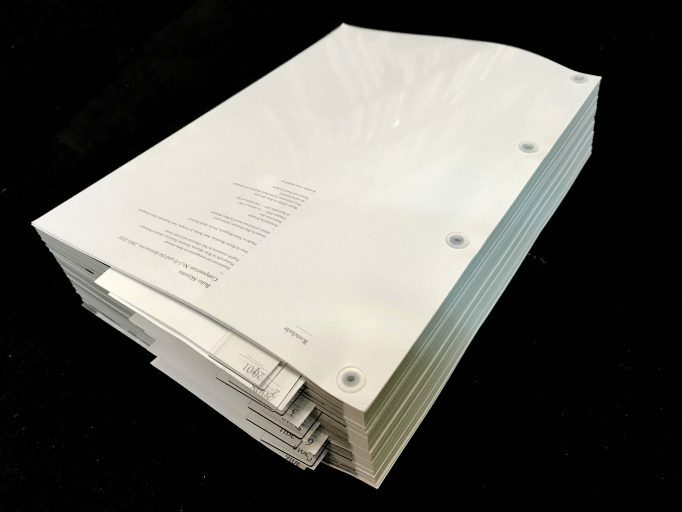 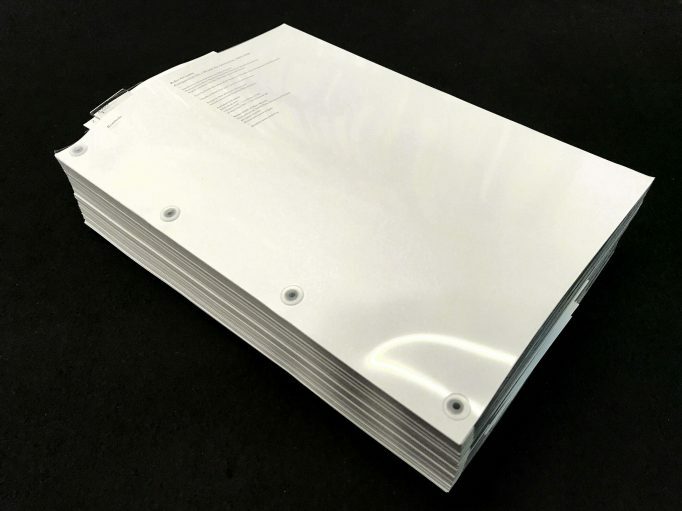 The catalogue consists of separate sheets, leaflets and a DVD, tied together with a paper faster that is also detachable. 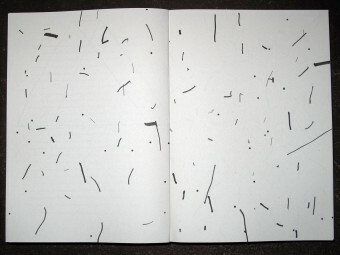 Sorted according to their techniques or where they were exhibited, the works are reproduced either in the books or on the sheets. 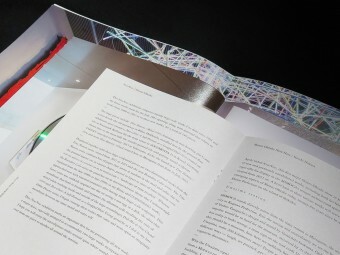 The DVD contains a video documentation of the exhibition from a visitor’s perspective, beginning from a front view of the museum to the deep end of its exhibition rooms. 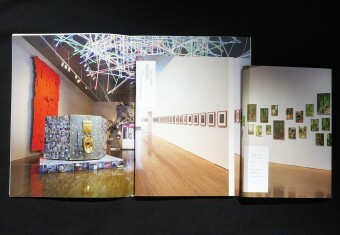 Larger than A3 in size, each of the eight sheets documents a different large-scale installation by the artist. 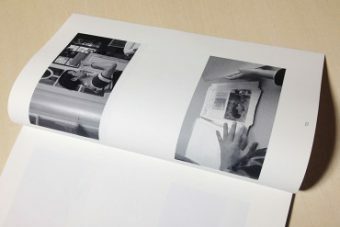 With the front side covered by a full-bleed photo showing a whole picture of the work, they could be hung on a wall as a poster, while the back side shows details of the work and informs of other related works along with their captions. 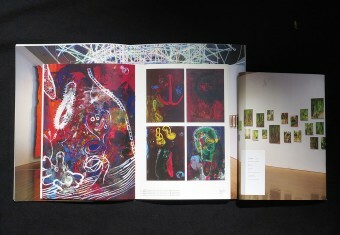 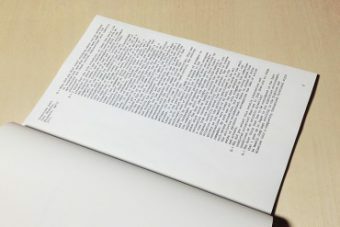 The three leaflets are formatted in different sizes; two feature image-based works (oil paintings / collages and drawings) and the other contains texts and reference data. 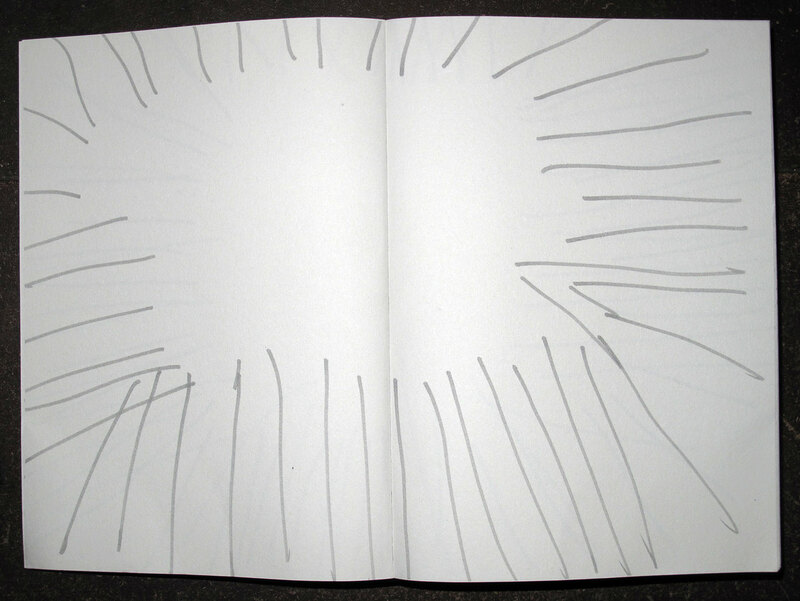 3444. 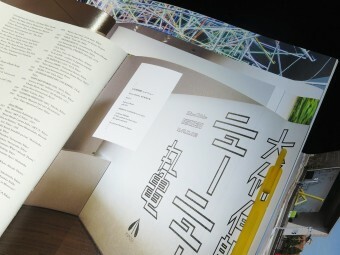 Masanao Hirayama (HIMAA). Edition Nord. 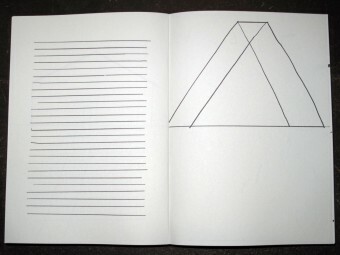 This impressive book is his first work under the name of his real name. 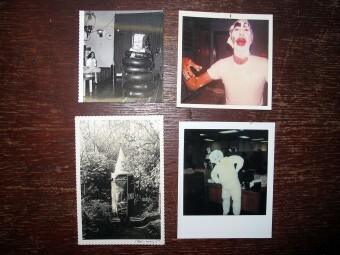 Fellow Travelers. Christian Holstad. 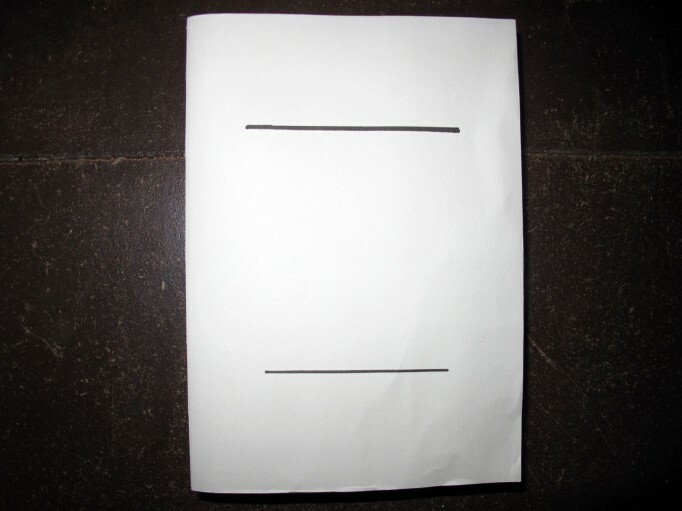 Edition Nord. 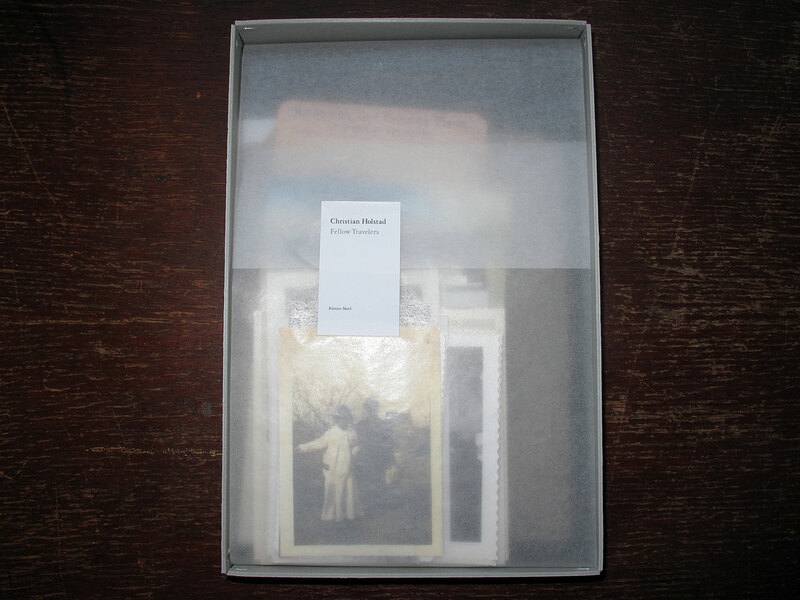 Fellow Travelers is a limited edition boxed set of 38 exquisitely reproduced found photographs chosen by Christian Holstad. 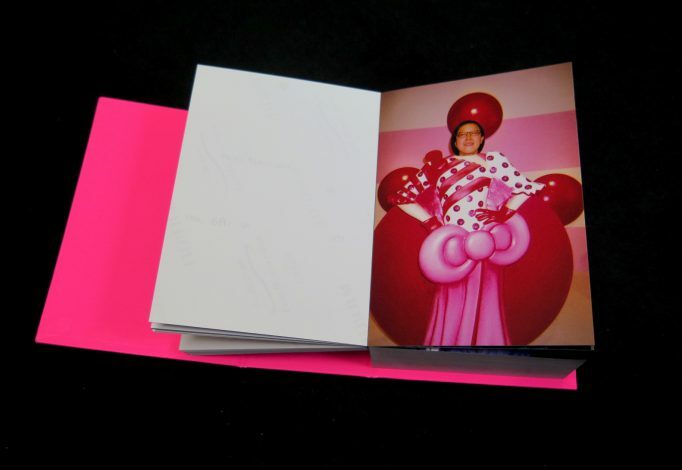 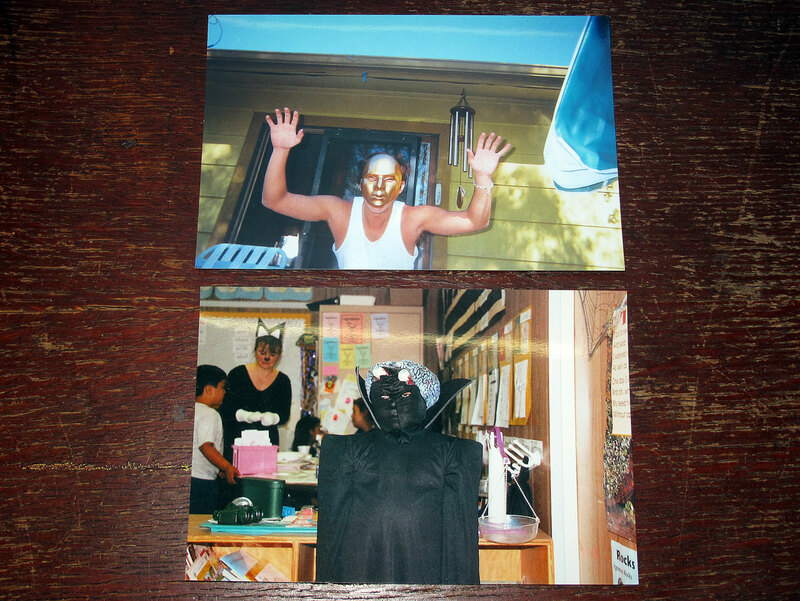 The images span a number of decades and center around figures in costume, depicting children, adults, and even the occasional animal in guises that range from the simplistic to the bizarre. 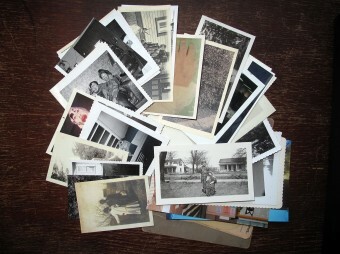 The size and format of each of the images is tailored to match the original photographs, and a number of pictures are framed by shabby photographic mats, scalloped edges, and Polaroid borders. 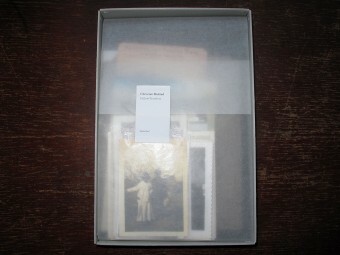 The box cover features one of the reproduced photographs held in place by clear photo corners.